Students interested in enrolling in HYM Course must complete an application and have someone submit a letter in support of their application. 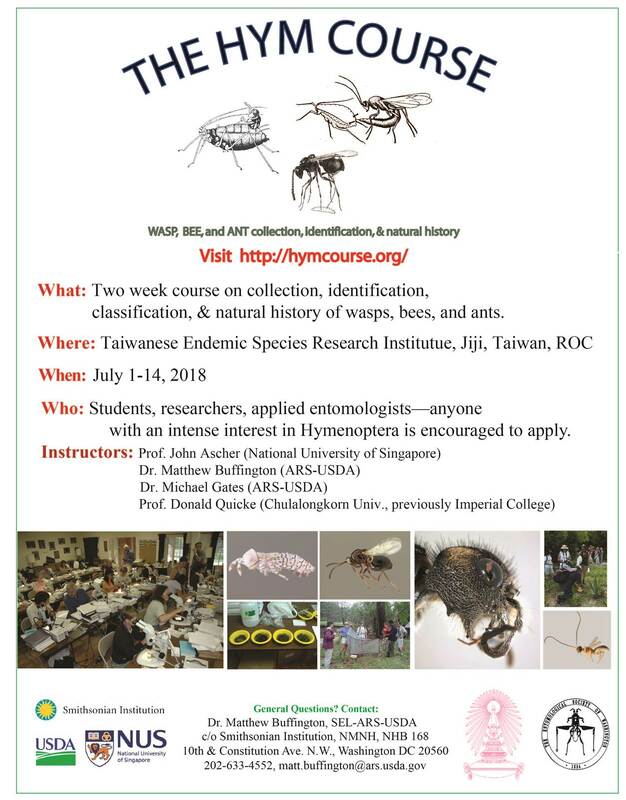 HYM Course 2018 is limited to 25 participants. The instructors will select participants based on their application and letter of support. Receipt of application to HYM Course will be confirmed. Tuition for HYM Course is US$500. Tuition covers the cost of holding the course. The cost for meals and lodging for 13 nights at TESRI is $400. 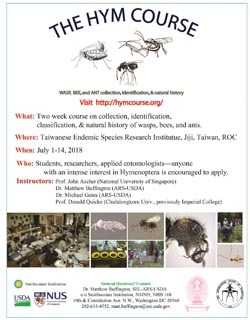 Participants must pay tuition, directly to the Entomological Society of Washington (sponsor of Hym Course) when notified of acceptance; meals and lodging are paid directly to TESRI upon arrival for the course, and payment must be in cash. Details can be found on the HYM Course application and FAQ page of this website. The application can be downloaded by clicking here.